For the serious puzzler who either loves a challenge or Star Trek! 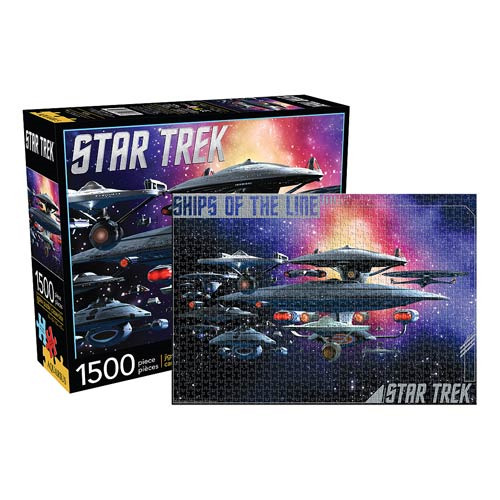 Stay busy for hours with the Star Trek Federation Ships of the Line 1,500-Piece Puzzle! When you finish assembling your 33-inch tall x 22-inch wide masterpiece, you'll certainly have earned bragging rights! Ages 14 and up.